You can add visible watermarks to photos online for free with our service uMarkOnline.com or you can download uMark, the best photo watermark software which is free with basic features. You can go to www.umarkonline.com to quickly add a text watermark to a single photo. 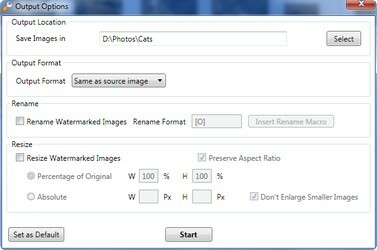 Add the photos you want to watermark. You can select photos from a folder or you can add entire folder full of images. 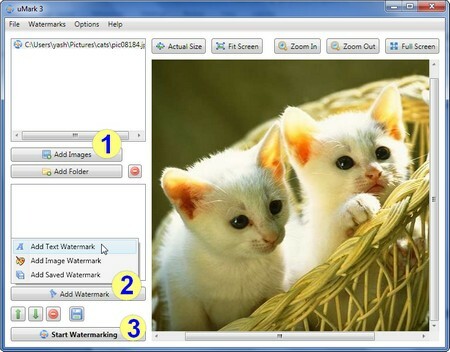 Then you add watermarks, you can text, image or previously saved watermarks. Finally you start the watermarking process, you can specify the output folder where the watermarked photos will be saved and uMark will apply the chosen watermark to all the selected photos within minutes. For more detailed instructions on how to use uMark check out the following demo video. 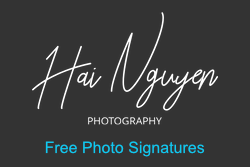 Previous - Why add watermarks to photos? Can a watermark on photo really prevent theft? Next - Why use a watermark software when there is Photoshop?